When Tim Sorensen’s late wife Marge was diagnosed with breast cancer 15 years ago, they were frantically searching for hotel rooms in Great Falls when another Lewistown couple told them about the Benefis Gift of Life Housing Center. After touring the West Campus Gift of Life facilities, same-day arrangements were made for Marge to have her own apartment while she underwent radiation treatment at Benefis for six weeks. Donors to the Benefis Gift of Life Housing program make a huge impact on patients who must travel to Great Falls for medical care. Thanks to the loyal support of the community, free housing at the Gift of Life apartments, short-stay rooms, and RV spaces are offered to Benefis patients. Tim and Marge were just two of more than 115 patients from Lewistown that have utilized Gift of Life Housing since the program began in 1992. “We’ve had several friends stay at Gift of Life. This program really benefits local people,” said Tim. When Marge’s cancer returned eight years later, they stayed at Gift of Life again. Sadly, Marge lost her battle to cancer in December of 2013. 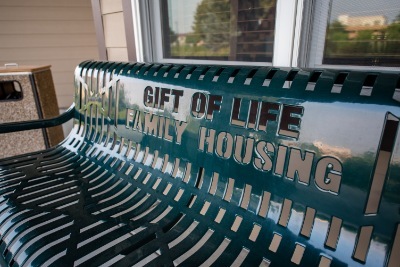 If you’d like to support Gift of Life Housing, please click here to donate online.